Location(s): Easily adjustable to any setting with available tables for each team. Patios, ballrooms, or lawns work well. Investment: Starts at $2750 and dependent on group size. Inquire below for a custom quote! If you’ve seen the TV show Minute To Win It then you know what you’re in for. Your teams will compete for the top spot in our team-based version of the popular game show. 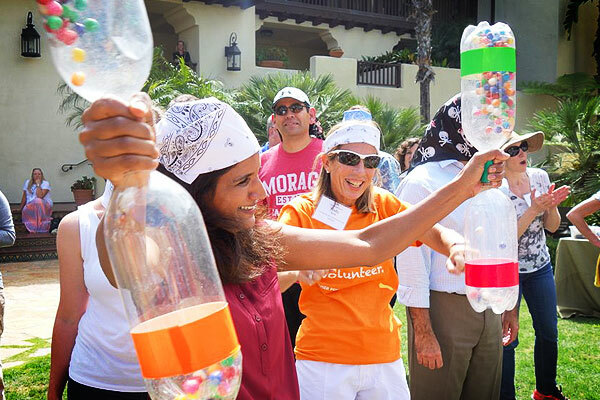 Instead of flying solo your team will have to complete 1 minute wacky challenges to try and out score the competition. You’ll be laughing hysterically from the first to last challenges. These are the perfect competition after a long day of meetings. A lot of our clients like to pair Minute Madness with Cocktail Hour. Light hearted fun competition that appeals to broad spectrum of personality types. Requires teams to evaluate core strengths and utilize team members strategically. 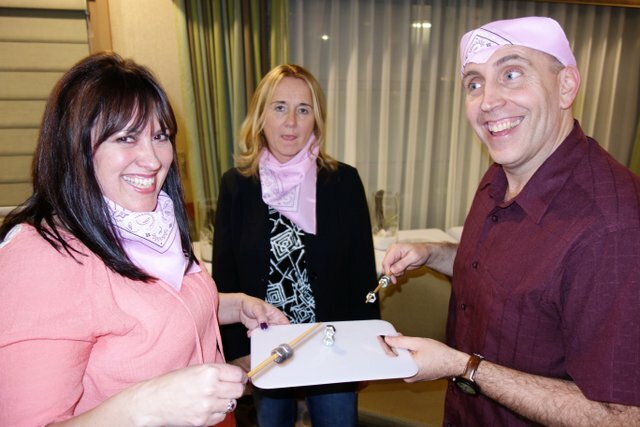 Professional Emcee/Facilitator, Experienced Facilitators, Up To 5 Challenges, Hype, Huge Laughs, Team Bandannas, Photos Of The Day, Winning Team Photo, And Custom Engraved Medals For The Winners.